Shanky Technologies Poker Bot Support Forum | General Category | Gambling Theory (Moderator: sngbot) | Topic: Another set question. 0 Members and 1 Guest are viewing this topic. Now, is this the right move to make here? I was thinking of adding in code above this line for when we have a set and there was a flushpossibleonturn and no betting on turn to at least call or raisemax the river bet from opponent. How would you guys play this hand? The opponent overbet the river with the flushpossible, so he may have had the flush after all, but I would think he would have bet on the turn. Once you check that river you absolutely must call, even with something like KQ. Checking a heads-up river when the action has been light thus far (to induce a bluff) is a common play when you hold any kind of decent hand. The fact you hold a strong hand become irrelevant, unless it is strong enough to raise with. That would be a better debate. I think I would raise and make a crying call if they push. I like the default approach better, bet and call. Okay, so cbet the river and call to a push is what you recommend. I doubt I could have even raised him considering he bet 73bb into a 47bb pot (he probably went all-in). I can go with that. I think the code was trying to prevent us from losing big on flush boards, but that's just poker I guess. I think we got bluffed there. 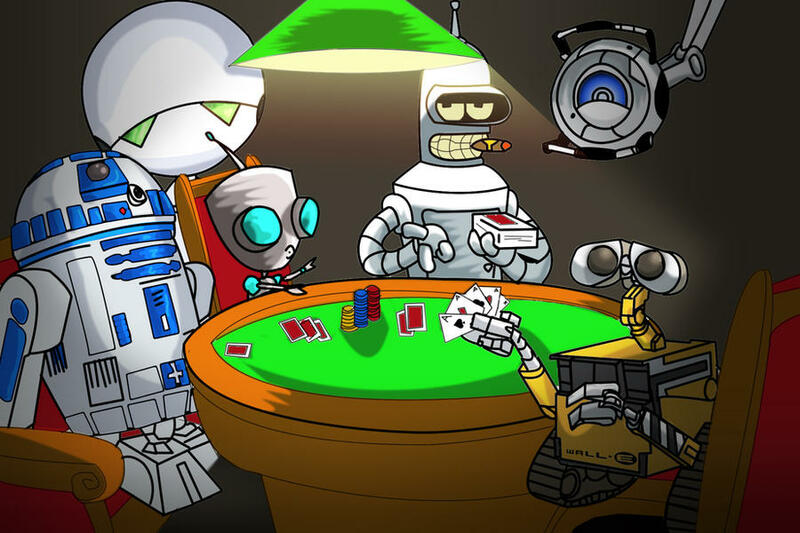 Shanky Technologies Poker Bot Support Forum | General Category | Gambling Theory (Moderator: sngbot) | Topic: Another set question.